I imagine you could come up with a fairly long list of the benefits of women’s small groups. They offer fellowship and accountability, a place for prayer and worship, the study of God’s Word, plenty of laughter, lasting friendships, and the comforts of doing life with others. At the end of the day, though, the purpose of any small group is to push one another to grow in Christlikeness. 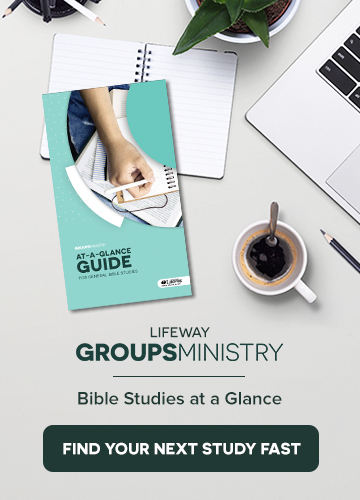 Studying God’s Word and worshipping Him through prayer are often frequent, essential parts of most small group gatherings, but one aspect of Christlikeness we often overlook in our women’s groups is going on mission. Jesus lived His life in service to others with the goal of drawing people to Him, and He has tasked us with that same responsibility. One of the reasons this aspect of discipleship is often neglected is because it seems out of reach. Where do I find the time? How do I get connected? What if I’m not good at talking to people about Jesus? No matter what excuses you and the women in your group may come up with, being on mission together is a non-negotiable aspect of small group life. Don’t be overwhelmed, though. You don’t have to gather funds and go overseas together (although that would be an amazing opportunity if you can do it!) Here are five simple ways you can get your women’s group to go on mission together in your community, regardless of your overwhelmingly busy schedules. 1. Love on the teenage moms in your community or in your kids’ schools. Whether you live in a booming metropolis or a small town, teenage pregnancy is a reality in your community. As these young women are forced to grow up much too soon, they wrestle with their fair share of fears and vulnerabilities. No matter what their home life is like, they can always use the love and support of older women, as well as help with practical needs like diapers, formula, baby gear, and baby clothes. Meeting these needs gives you a great foundation for friendship and the chance to point them to Jesus, the only One who has the hope they need during this time in their lives. 2. Adopt a widow in your church. While widow care is likely already part of your deacon ministry, these ladies would love regular companionship from the women in your group. Consider adopting a widow from your congregation for whom you can provide weekly meals, take grocery or clothes shopping, or simply chat with for an hour or two. This is a specific responsibility God gave His church, so make it a part of your small group, too. 3. Tutor for ESL or underprivileged kids. Like the needs of teenage moms, tutoring needs are never fully met. Partner with a non-profit organization in your community that reads to ESL children or provides after-school tutoring and care for underprivileged kids with busy moms and dads. You can invest in the lives of these young children on a regular basis, and you can also get to know their parents, too. Through services like these, doors are opened to inviting families to church and helping them to hear the gospel. 4. Partner with the refugee community. If you live in a bigger city, you probably have a decent-sized refugee population. The needs of this community are endless as people start their lives over, usually having come to America with nothing. Meals, clothes, toiletries, and companionship are basic needs your group can help meet, but additional needs include language lessons and help with the American citizenship process. Many of these refugees have never heard the name of Jesus before, and you could be the first to tell them about Him. Maybe your group’s excuse for not being on mission is that you’re already stretched too thin with responsibilities. If that is the case, then turn those responsibilities into mission opportunities. Serve on the PTA? Then represent Jesus well. Coach a girl’s volleyball team? Make sure those girls know about the one you serve. Busy parenting young children? Model the gospel for them in your home. Every aspect of daily life is an opportunity for you to be an influence for the gospel, so commit together as a group to making this an obvious part of who you are.